So, what causes a battery to wear out? 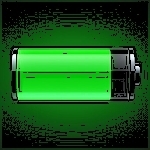 Much like any human being, a battery’s health starts to deteriorate immediately after it is made. The aging process is both chemical and mechanical in nature. All batteries are perishable. It is the rate of aging where you can have some impact. The temperature, the charge method, the depth of discharge, maintenance procedures and just plain time all play a role in the life of a battery.